← Are you ready to buy a self-sacrificing Autonomous Vehicle (AV)? “The smart grid: It’s the power-system modernization effort that U.S. utilities are building to meet the country’s growing demands for electricity. But it’s not confined to power plants and substations – if you have a smart meter, a key piece of smart grid technology already is attached to your house. The above basic factual information has been stated over and over by smart meter opponents. Yet the utility companies continually deny that smart meters can reveal this sensitive personal information. Do you know of a single utility company that acknowledges that smart meters can discern when you are asleep or when you run certain appliances? … So, if the utility company doesn’t tell you the honest truth about basic privacy and security information pertaining to smart meters, how can you trust the utility on anything dealing with smart meters. You can’t. 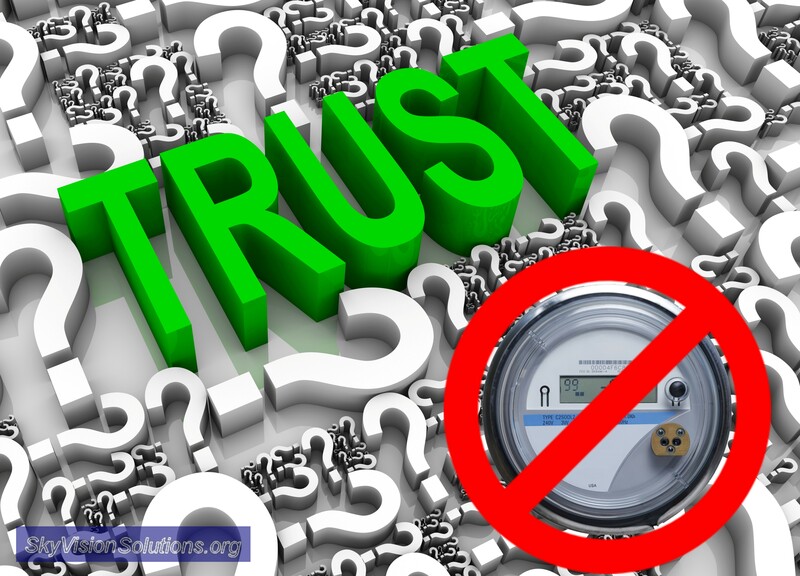 Do not trust ‘smart’ meters or anything said about them by utility companies or their colluding organizations. Period. It is that simple. To me this analogy is inexplicable. It tries to portray the utility company as comparable to a social media company such as Facebook or Twitter. If people voluntarily share and post personal details on Facebook, then hopefully (?) they will be willing to share their electricity usage with the utility company and potentially other ‘trusted’ third parties. I see no connection. First of all, in most areas, smart meters are being forced down people’s throats and are not voluntary. Second, many consumers are just not sufficiently aware of the privacy issues and risks of sharing personal information with either a social media company or the utility company. 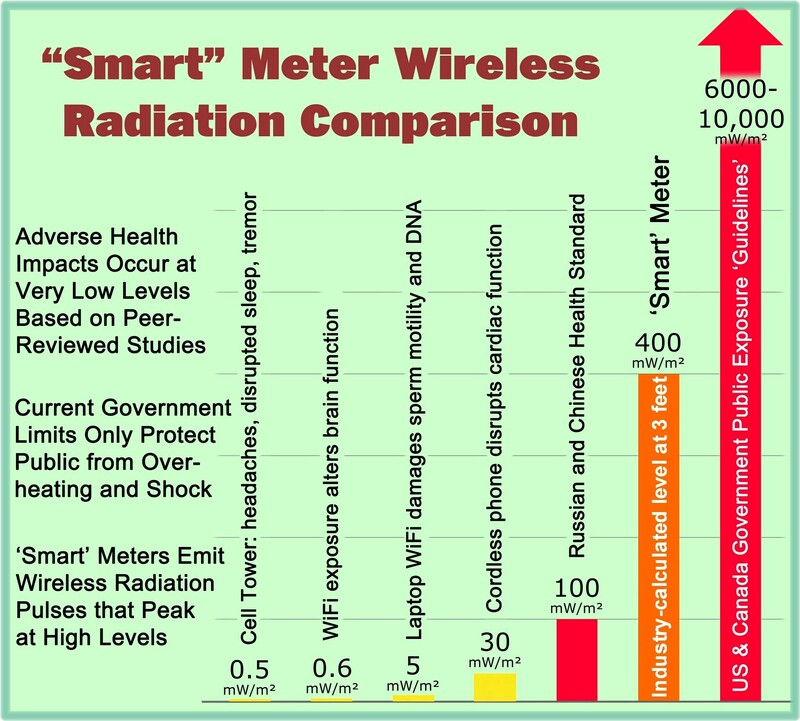 The above comparison of smart meter privacy invasions with social media by the NSF brings to mind propaganda disseminated by Memphis Light, Gas and Water (MLGW) in Tennessee. Myth: Thieves will use my smart meter signals to know when I’m not home. Personally I find the above “reality” as not very comforting. If I am aware of a stranger parked down the street for an extended period of time, I would call the police to investigate for possible stalking. I don’t enable GPS locator features in cell phones although others may if they wish, and I would never post my vacation plans on social media. Could we agree that would be a stupid thing to do? What is really needed is for the NSF and other organizations to spend their available funds (millions of dollars) educating consumers on the true risks related to smart meters and not just figure how to fool the consumers into thinking that smart meter privacy invasions are comparable to a social media experience. We need more educated consumers and when that happens, we will naturally have more opposition to smart meters. We would also have more accountability for unwarranted smart meter deployments. It is sad that a utility company might think it is appropriate to post vacation plans on social media and that some consumers are not smart enough to know better. In any case it is clear that we can’t trust utility companies on smart meters whether it be for privacy and security issues or, by extension, the other many smart meter risks such as health, cyber threats, fires, accuracy, etc. As far as the “new electricity meters” somehow being “smart,” numerous other articles at this website explain how the net benefits do not exceed the significant risks and costs and that ‘smart’ meters are not necessary for grid modernization. Based upon that information, ‘smart’ meters are actually quite dumb. This entry was posted in Smart Grid, Smart Meters, and RF Emissions and tagged Privacy, Propaganda, Smart Meters, Trust. Bookmark the permalink. $266K for this doublespeak? Unreal!